The UK Overseas Territories [OT] Heads of Government Pre-Joint Ministerial Council Meeting [JMC] concluded this week with a range of discussions focused on the Zika Virus, pension matters and the 2012 Overseas Territory White Paper. 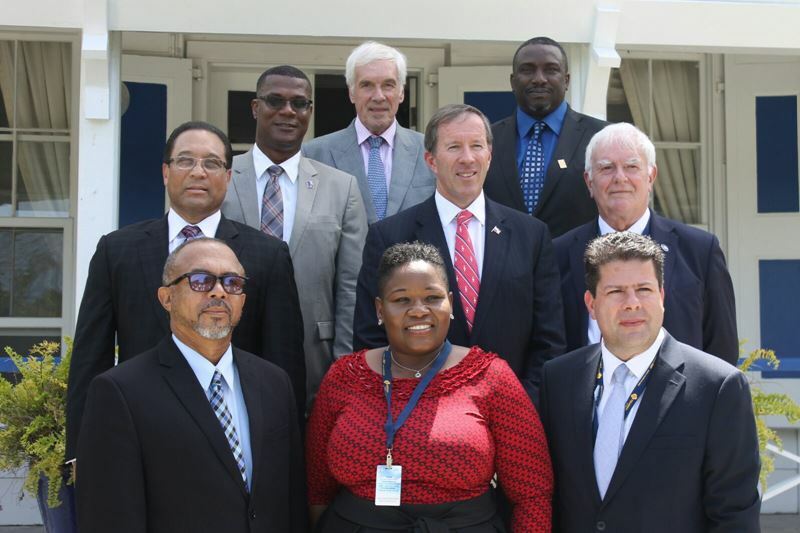 Premier Michael Dunkley was in the Turks and Caicos Islands this week for the annual Pre-JMC meetings, which serve as a precursor to the upcoming OT Joint Ministerial Council meetings hosted by the UK Government in October. “OT leaders discussed the threat posed by the Zika Virus to Caribbean Territories and noted that in addition to the health risks there is the potential impact to Tourism in the area,” a spokesperson said. “Leaders further examined potential opportunities to have cooperation with the UK Government for health care of British Overseas Territories Citizens under the UK Health Quotas system. This will be brought forward for discussion at the annual Joint Ministerial Council in October. “Other matters on the agenda focused on OT leaders reaffirming their position for the UK Government to upgrade the pay index-linked pensions to all British Overseas Territories [BOT]. “Bermuda is the only overseas territory which currently has a reciprocal arrangement in place, while in Gibraltar the UK applies EC Regulations. It should be noted that in all other overseas territories there is no reciprocal arrangement with the UK Government to pay the increase to state pensions. “Leaders will be calling on the UK Government to ensure all rights are applied to those BOT citizens who were employed in the UK and have retired home to their Territory. “Finally, OT leaders welcomed the desire of previous Minister to the Overseas Territories, Mr. James Duddridge, to revitalise the 2012 Overseas Territory White Paper. “The OT leaders believe that in consideration of the British exit from the European Union, or BREXIT, it is the right time to review the partnership with the UK Government. Premier Dunkley, who was accompanied to the Turks and Caicos by the Secretary to the Cabinet, Dr. Derrick Binns and Kimberley Durrant, UK Representative and Director of the London Office, returned home yesterday. …and will he tell the truth about ALL of his findings there? So he could check his offshore account? …should have sent someone with some smarts. We would have but he was in Martha’s Vineyard laughing his a$$ off. I would just point out that according to a Freedom of Information request, number 595/2013, sent to the DWP they, the DWP, had to admit that no reciprocal agreements are needed for the UK to pay their own citizens an indexed state pension overseas. The fact that many in the Commonwealth countries are victims of this injustice is purely because the British government choose to use this excuse to blatantly discriminate against just 4% of fully paid up seniors who have contributed to the NI scheme over a lifetime under the same terms as everyone else. Shame on the UK government for stealing annual increases from their own senior citizens. Yes, Jane D you are right there is no need for any agreement whatsoever as the UK government can unilaterally uprate pensions world wide if it had the will to do so. This frozen pension policy affects over 560,000 UK pensioners around the world while some 650,000 retirees, who also live abroad benefit from the index linking – yet all, as you say, have met the same NI contribution conditions during their working lives. Yet the NI Fund is in surplus – around £20 billion at present – and the cost of meeting what is really a govermnment obligatıon is just £580 million. I also read recently that Lord Freud, on behalf of the DWP, said in the House of Lords that in 2014/2015 over £13.0 billion was unclaimed by the UK public in respect of various benefits and allowances…need one say more? Too true Jane D. The British Government have been hiding behind the “Reciprocal agreement” excuse for decades now, but since that was exposed as an outright deception, they are now using the cost excuse. This too has no foundation on fact. It is up to everyone affected by this discriminatory practice, to raise merry Hell with those. Responsible. Only by a UNITED action, will this terrible wrong be righted. Premier Dunkley is the best possible person to represent us at this meeting. He is both smart and tough – not a bad combination for our Premier. And guaranteed he will report on ALL of his discussions there. I simply cannot ever imagine him using the magic words, “We had to deceive you!” That’s just not his style. The man lost points the other day when he didn’t vote. Many people are calling him a coward.